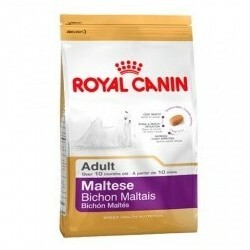 I think for dogs of breed Yorkshire terrier adults, from 10 months of age. 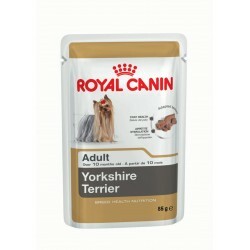 The I think dry Royal Canin Yorkshire Terrier is indicated for the diet specific for adult dogs of this breed (from 10 months). Your formula takes into account your nutritional needs and is made with all the nutrients it needs to be healthy. 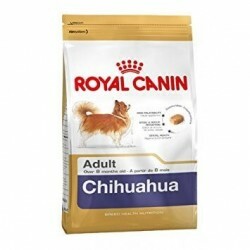 The dogs of small breeds grow very fast and in particular the yorkshire terrier become adults at 10 months. It is at this time when there is that change to a specific diet for this stage of your life. 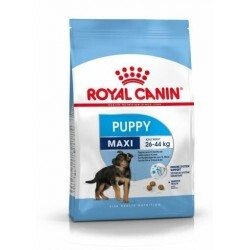 For this reason, Royal Canin Yorkshire Terrier is a feed adapted to its characteristics. Presents a perfect balance of protein and energy, to strengthen your muscles and that are always active. This breed is characterized by its longevity, but it has a drawback and that is that it is exposed longer to the effects of aging. These may be alterations of the skin, dry hair, fatigue, heart, kidney, liver problems, osteoarthritis, or diabetes, among others. To guarantee an optimal quality of life, the feed is enriched with antioxidants that prevent the emission of free radicals, delaying cellular aging and strengthen its defenses. The yorkshire terrier is characterized by the softness and shine of your hair. This I think helps to keep it healthy and radiant thanks to its high content in fatty acids Omega 3, 6, and EPA-DHA. 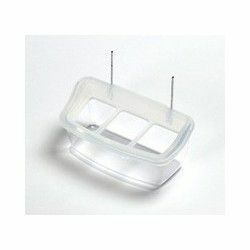 In addition, it is designed to maintain a good oral hygiene. Small croquettes have an exquisite flavour and prevent the formation of tartar. Ingredients: dehydrated poultry proteins, maize flour, rice, animal fats, isolated from vegetable protein*, maize, maize gluten, hydrolysed animal proteins, vegetable fibres, beet pulp, minerals, fish oil, yeasts, soya oil, fructo-oligosaccharides, hydrolyzed yeast (source of mannan-oligosaccharides), borage oil (0,1%), extracts of green tea and grapes (source of polyphenols), extract of Rosa India (source of lutein), hydrolysate of crustacean (source of glucosamine), hydrolysed cartilage (source of chondroitin). Analytical composition: protein (28%), fats (18%), crude ash (5%), starch (32,2%), moisture (9,5%), crude fiber (3,1%), calcium (0,72%), phosphorus (0,6%), vitamin A (31000 IU/kg), taurine (2200 mg/kg), lutein (5 mg/kg), dietary fibre (8,4%), linoleic acid (3,14%), arachidonic acid (0,07%), glucosamine chondroitin (500 mg/kg), essential fatty acids omega-6 (3,37%), essential fatty acids omega-3 (0,68%), biotin (3,07 mg/kg), chloride, glucosamine (495 mg/kg), vitamin C (300 mg/kg), vitamin E (600 mg/kg), EPA/DHA (0,3%), extract-free nitrogen (ELN) (in 36.4%), methionine cystine (1,17%), metabolizable energy (measured according to NRC85) (3784,5 kcal/kg), DL-metonina (0,73%), DL-methionine (0,73%), polyphenols from green tea and grapes (150 mg/kg), metabolizable energy (measure) (3944 kcal/kg). Minerals: magnesium (0.11 per cent), sodium (0,3%), iron (166 mg/kg), manganese (73 mg/kg), zinc (218 mg/kg), iodine (5.2 mg/kg), selenium (0.28 mg/kg), potassium (0.7 per cent), copper (15 mg/kg), chlorine (0,59%). Vitamins: folic acid (13,6 mg/kg), choline (2,000 mg/kg), vitamin B1 thiamin (27 mg/kg), vitamin B2 riboflavin (48,6 mg/kg), vitamin B5 adic pantothenic acid (145,2 mg/kg) vitamin B3 niacin (482,8 mg/kg) vitamin B6 pyridoxine (75,7 mg/kg), vitamin D3 (800 IU/kg), vitamin B12 cianoconobalamina (0.13 mg/kg). Other nutrients: arginine (1,43%), L-lysine (0,96%). 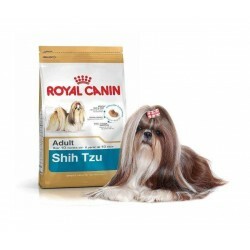 Complete food for the dog Yorkshire Terrier adult and mature – From 10 months of age HEALTHY HAIRThis exclusive formula contributes to maintaining health of the long hair of the Yorkshire. Enriched with levels adapted of omega-3 fatty acids (EPA and DHA), omega 6 fatty acids, borage oil and biotin.